Simone Biles, Usain Bolt, and Michael Phelps have one thing in common. Well, besides the fact that each of these athletes won gold medals in their respective events at the Olympics this summer. In training for the Olympics Biles, Bolt, and Phelps spent copious amounts of hours in the gym, on the track, and in the pool. However, each of these athletes also spent time utilizing techniques to help their bodies recover from workouts. But, an Olympian is not the only person who needs to properly recover after an exercise session. The high school athlete, successful business person, and average weekend gym warrior do as well. Have you ever completed a workout and then woken up the next morning feeling like your muscles are screaming at you? Muscle soreness cannot be completely prevented; however, there are ways to reduce the symptoms. 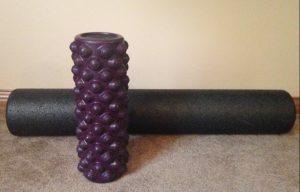 One inexpensive method is to use a foam roller. Foam rolling, also called self-myofascial release, is a process where you apply pressure to the muscle via a foam roller. Applying pressure where the muscle is sore, as well as above and below the affected area, causes scar tissue to be broken up, which allows the muscle fibers to heal correctly. Foam rolling immediately after exercise, as well as the day after a workout, reduces muscle soreness. To learn more about foam rolling techniques, watch the video below, which was created by health and fitness expert, Ben Greenfield.